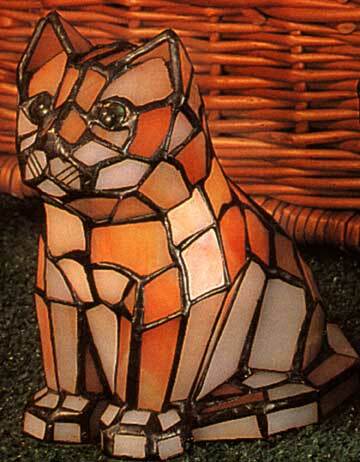 Orange kitten Tiffany Sculpture Accent Lamp. 7� X 6� X 4�. Takes one 15 watt candelabra bulb.